Grace DeMeo easily recalls her first connection with the natural world. As a child, she grabbed a bluegill out of a pond and walked back to her house — fish in hand — to show off to her mom. Her mom said DeMeo would stare at the pond for hours, watching life thrive in and around it. 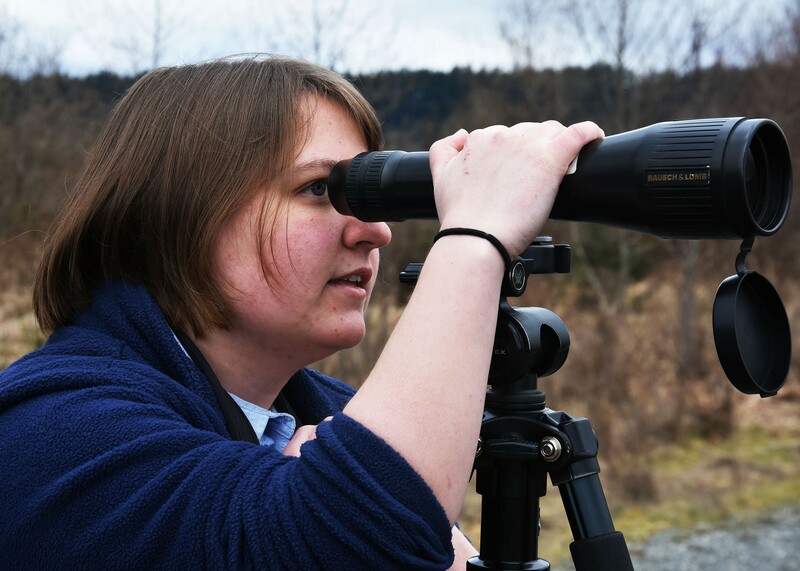 Not much has changed for the 25-year-old, who earned a bachelor’s degree in wildlife management from Humboldt State University, about wanting to be in nature. 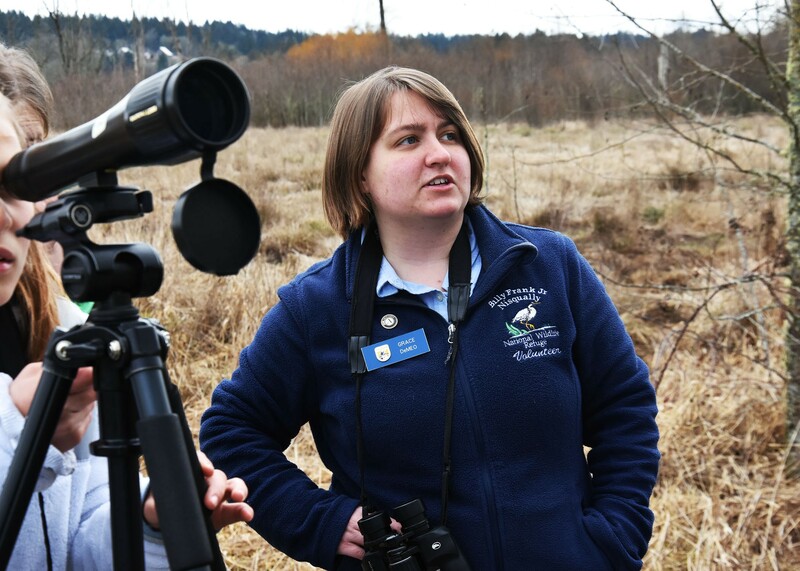 Since last September, she has volunteered full-time as a Washington Service Corps member at the Billy Frank Jr. Nisqually National Wildlife Refuge in Washington. Before volunteering there, the Oregon native also volunteered with AmeriCorps in West Virginia. WSC is a program that places AmeriCorps national service members in nonprofit, community and faith-based organizations as well as schools and government agencies. Housed in the Employment Security Department, the program serves under-resourced communities across the state. Last July, Serve Washington, the state’s commission on national and community service, received $15.8 million in AmeriCorps funding. Gov. Jay Inslee said funds would help AmeriCorps members close achievement gaps for school-age children, prepare low-income students for higher education and protect the environment. Service members commit to the program for 10 ½ months. They must serve 1,700 hours during that time frame and volunteer 40 hours a week in exchange for a stipend. They also receive health insurance. Engaged 581 veterans in community volunteer activities. About 425 of those veterans said they would volunteer in their communities again. Provided job training and tutoring to 2,002 economically disadvantaged youth. Supported 6,403 students who were flagged for needing supplemental support. Delivered nutrition education to 11,729 students. Trained 25,207 economically disadvantaged people in disaster preparedness. 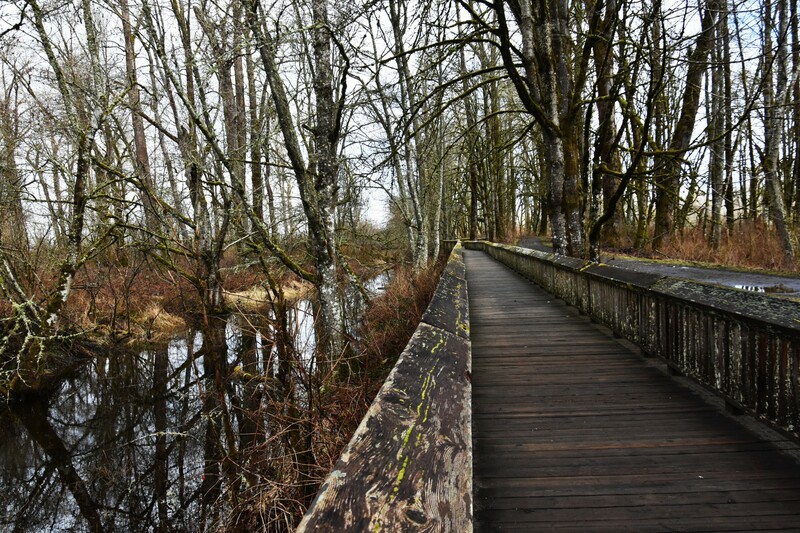 Treated 4,046 acres and improved 3,260 acres of park or public lands. AmeriCorps volunteers usually fill a capacity gap in an organization. DeMeo, who started at the refuge in September, acts as the education coordinator. Among other responsibilities, a large part of what she does is plan and educate students visiting on field trips. If the refuge didn’t have her, it’s unlikely there would be an education coordinator. But one of the most valuable aspects of DeMeo’s experience is getting mentorship in a structured environment. This builds a path toward a career after her service period ends. Oh, and that bluegill? DeMeo’s mother ran it back to the pond. It lived.